This is a animation I made with processing and the hemesh-library. I generated the frames with the processing sketch and exported them using the saveFrame function. 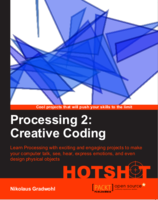 The sounds are created using PureData. The explosion is based on a patch from the book designing sound by Andy Farnell - a really really great book, everybody who is needs sound effects for videogames or films should read this book. 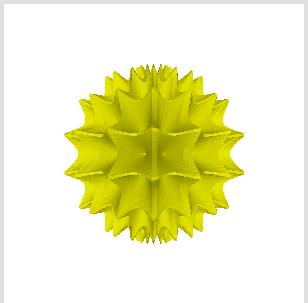 This is another surface-function for the toxiclibs meshbuilder. 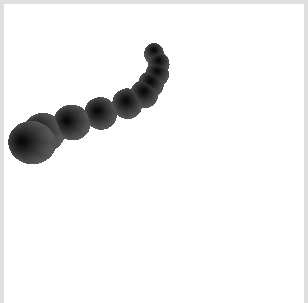 This time it's not a smooth integrateable function but it has some discrete jumps. 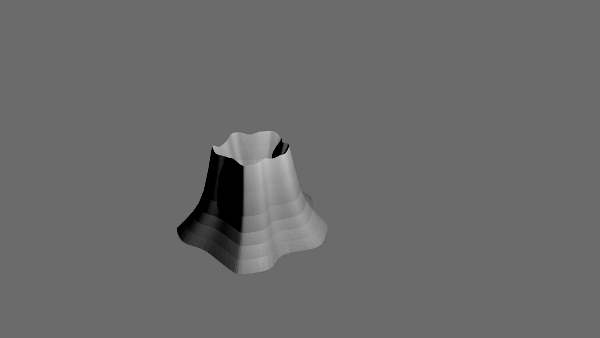 I wanted to play a bit with the new Blender 2.5 and made a model of a vulcano. 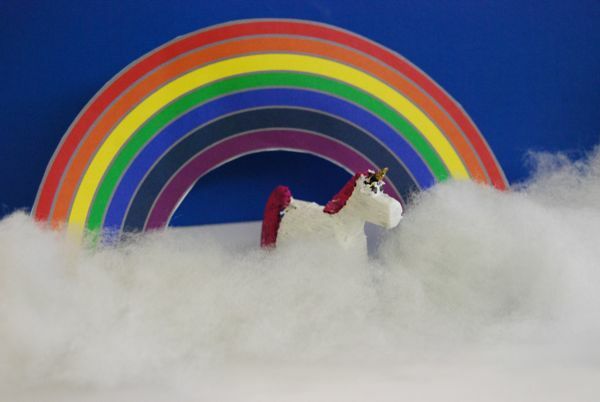 I haven't found the time yet to print it on my makerbot - so I consider it as work in progress. 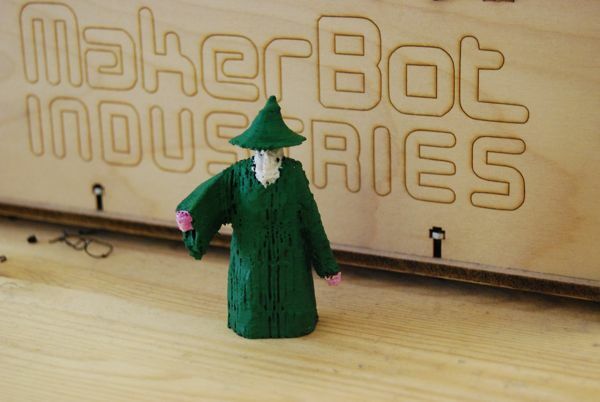 While browsing through thingiverse I noticed a huge number of draggons but a serious lack of wizzards. So I started the new blender 2.5 and moddled one. you can download the blend file or you can download the stl file if you want to print it yourself. Then I tried to print something using the support material option of skeinforge for the first time. The support-material can be activated in the "Raft" Section of the skeinforge settings. Make sure you set "Support Inset over Perimeter Extrusion With (ratio)" to some negative value - I used -3 - or else your support material will stick to your model. 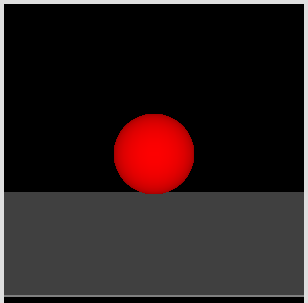 This processing-sketch features a sphere that dissolves into a 3D-particle system and explodes when you click on it. 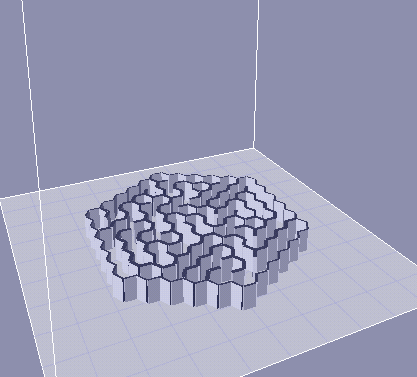 I updated my hexagonal labyrinth sketch to generate a 3D labyrinth and exported it as stl file. Then I printed it on my 3D printer. 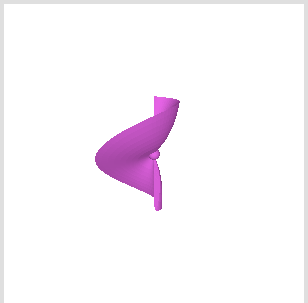 It took a while to convert the stl file to gcode but finally something printable was generated. 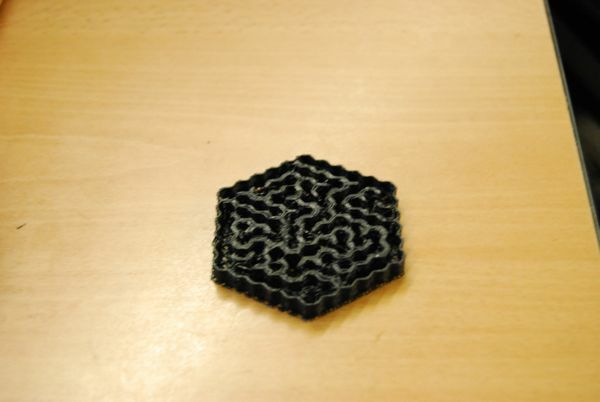 So if you need a labyrinth for your next puzzle or your science experiment with ants or ... download the sketch here, generate a labyrinth, take the stl-file and print it on your makerbot or use it in your mashups.